Alderley, an independent systems integrator and technical service expert for modular packages in the oil and gas industry, says business has strengthened in 2018 in comparison to the previous year and is poised to grow further in the coming years. 'Business has strengthened in 2018 in comparison to the previous year. While the market has yet to fully stabilise, we have a strong order intake and healthy work schedule this year which is forecasted to continue into the coming years,' says Hassan Altikrity, Abu Dhabi In-County Manager, Alderley. 'Our order intake has continued to grow throughout 2018 and into 2019 – a result of our recent product development and range expansion efforts through Modular Packages, including an enhanced services proposition, coupled with signs of an upturn in the industry,' he says. 'Reinforced by our market research, discussions with key customers and new enquiries, we expect to see further growth in Abu Dhabi and the wider GCC region in 2019 and the coming years. We also plan additional developments to further enhance our offering and continue to best support our customers,' he adds. Upon first joining Alderley in 2016, Altikrity’s role entailed a variety of Project Management duties primarily in the Saudi Arabian market. In this role, he played a major part in the successful granting of all necessary client approvals, resulting in a rapid influx of projects that allowed Alderley to expand into a second facility in Dammam. 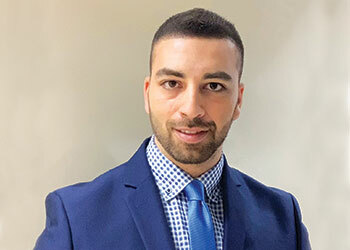 His achievements awarded him the promotion to In-Country Manager for Abu Dhabi to lead Alderley’s endeavours in supporting this market, which it now considers as a `key area of focus’. To support the growing Abu Dhabi market, Alderley FZE recently signed a new partnership agreement with Abu Dhabi Oilfield Services (ADOS), a leading provider of capital equipment and services to the energy industry in the emirate. 'Abu Dhabi represents a key area of focus for Alderley. As such, I am now based in Abu Dhabi full-time as the In-Country Manager and we have partnered with ADOS to further support our endeavours in this important market,' Altikrity says. Alderley has fully staffed operations in various key global locations including the GCC, with over 380 colleagues worldwide. Its UAE operation employs just under 200 individuals across design, engineering, technical, manufacturing, safety and quality, sales and financial functions, incorporating extensive experience across many professional backgrounds. 'Integrated business functions and full in-house expertise at each facility give us absolute and independent control of all required designs and parameters. With all engineering, stress analysis, control system design and fabrication, analysis, and other processes conducted in-house, we have no critical element dependency on a third party or subcontractor for any given project. This intimately managed process ensures we deliver the right engineering solution, from the right location, at the right time and at the right price. And always with the system quality that is synonymous with Alderley,' he says. 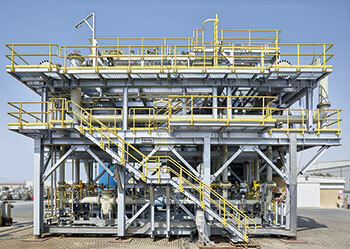 'Our facility is capable of manufacturing skid mounted systems of any footprint. For transportation purposes, systems are often built as modules capable of on-site integration. We also conduct full internal testing to ensure functionality, seamless integration and fast start-up when on-site, supported by our installation and commissioning experts,' he explains. What all effective and efficient engineering solutions are you offering to your clients in the UAE? Alderley have been at the forefront of metering solutions for over 50 years and are probably best known for their metering system integration capabilities and outstanding quality. We now take this expertise, knowledge and experience and apply it across a wide range of systems and services. Something we call Modular Packages. The scope of Modular Packages reflects our customers’ requirements. We work closely with our customers to understand their needs and provide smarter solutions to reduce costs, lead times and risks. So, whether it is chemical injection, produced water treatment, surge relief, modular skids, wellhead controls, metering, a combination of the above, or lifetime service support – we can design, integrate and deliver the right solution to meet their needs, and at the best value. We can only achieve this by being an independent system integrator. This means we have no bias towards a single system, solution or a specific manufacturer, so we will always provide the right solution without constraint. Additionally, our local operations allow for flexible and fast track build strategies to bring our expertise at a greater pace and convenience to our customers throughout the UAE. So, whether integrated onto a single skid or structured across multiple skids, an Alderley modular package is the right engineering solution for our customers. As the leading system integrator for modular packages in the oil and gas industry, who are your main clients in the UAE and region? Alderley has had a strong presence in the Middle East since the late 1980s and we are continuing to invest in the region through our local facilities and improve our support by moving closer to our customers. Over the years, we have support and built strong relationships with a variety of customers. This includes national oil companies (NOCs) such as Adnoc, Saudi Aramco, Kuwait Oil Company (KOC) and Kuwait National Petroleum Company (KNPC), as well as international oil companies (IOCs), for example, BP in Oman and Shell in Iraq. With the ever-increasing growth of engineering, procurement and construction (EPC) companies, they too form a significant part of our customer base, including Petrofac, SK Engineering, McDermott, Daelim and HENC to name a few. We will continue to invest and enhance our offering in the region to keep delivering the best support for all our customers. What are the salient features of Alderley’s Modular Package solutions? Why is it advantageous for a client to opt for Modular Packages? A key benefit of an Alderley Modular Package is that the scope is completely customised to reflect our customers’ requirements. Utilising over 50 years of experience, our multi-disciplined team of experts work with our customers to identify, configure and integrate any number of systems and services to deliver the right Modular Package solution for their needs – on time, from the right location and at the right price. As a fully integrated single source solutions provider, an Alderley Modular Package helps to simplify our customers’ project procurement and technical processes by integrating multiple systems into a single solution – systems that would otherwise need to be purchased and combined separately by our customers, with associated challenges, risks and costs. Delivering fit, form and function in every solution and with through-life service options available, our customers can be assured that an Alderley Modular Package will meet their performance requirements. And with full factory testing prior to dispatch, every solution delivers quality and peace of mind. Through this focus on right products, right quality and right price, we are delivering the best value and reduced total acquisition costs to our customers. So, whether integrated onto a single skid or structured across multiple skids, an Alderley Modular Package is the right engineering solution. Having established a hub in Dubai dedicated to supporting the design and manufacture of oil and gas metering and process equipment in the Middle East, do you plan further expansion? Abu Dhabi represents a key area of focus for Alderley. As such, I am now based in Abu Dhabi full-time as the In-Country Manager and we have partnered with Abu Dhabi Oilfield Services Company (ADOS) – a leading provider of capital equipment and services to the energy industry in Abu Dhabi – to further support our endeavours in this important market. In addition, we continue to appoint dedicated resource and work to ensure full support is provided to Adnoc and its subsidiaries in the immediate term, as well as supporting In-Country Value (ICV) initiatives (utilising our Adnoc approved ICV certified facilities) and Emiratisation. Is the volatile oil market affecting your business? If so, what are the measures being taken by your company to maintain its market share? Instability in the oil price and the changing energy industry dynamic has created a more challenging environment. This has resulted in some of our traditional capital build markets, for example, metering solutions, now being considered a commodity rather than a niche product. 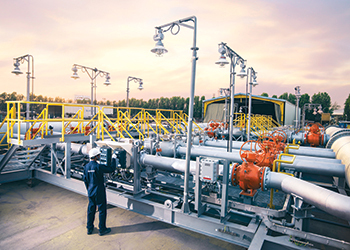 As a result, we have focused on diversifying our offering through Modular Packages; applying our technical capabilities and experience in other areas, including chemical injection, wellhead controls and modular skids to support our customers’ needs. This has broadened the scope of services we can provide and therefore increased the market opportunity as we become a single source solutions provider for our customers. Over the past couple of years, we have also investigated how we can support our customers throughout the total system lifecycle. Now, we have a very proficient services organisation that provides aftermarket support including upgrades and long-term service agreements, as well as exciting new innovations, for example, Virtual Reality skid prototyping, VR training and a next generation Condition Based Monitoring solution to improve performance and efficiency. Despite the recent challenging market conditions, we continue to seek new and smarter solutions for our customers. A great way to do this is to attract and nurture the next generation of talent who bring with them new ideas and have a disruptive way of thinking – the Alderley Graduate Scheme being a key conduit to delivering this. Everyone at Alderley is encouraged to challenge the norm. We have a fantastic talent pool and a multi-disciplined team of engineering experts with a variety of experiences. Bringing these experiences together helps stem some of the innovations we now use to deliver the best solutions for our customers. For example, some of our recent graduates lead the creation of a Virtual Reality training simulator that has now been used by multiple customers. The Virtual Reality simulator delivers a real-world training experience to improve operator engagement and skid familiarisation to improve start-up time – all delivered in the safety of an office environment. How has business been over the past year, how does this compare to the previous year? Business has strengthened in 2018 in comparison to the previous year. While the market has yet to fully stabilise, we have a strong order intake and healthy work schedule this year which is forecasted to continue into the coming years. How do you see prospects for your company over the coming year? Our order intake has continued to grow throughout 2018 and into 2019 – a result of our recent product development and range expansion efforts including an enhanced Services proposition, coupled with signs of an upturn in the industry. Reinforced by our market research, discussions with key customers and new enquiries, we expect to see further growth in Abu Dhabi and the wider GCC region in 2019 and the coming years. We also plan additional developments to further enhance our offering and best support our customers.